This Sept. 4, 2018, file photo shows Deputy Attorney General Rod Rosenstein in Washington, DC. Deputy Attorney General Rod Rosenstein has agreed to speak privately with lawmakers following reports that he had discussed secretly recording President Donald Trump. 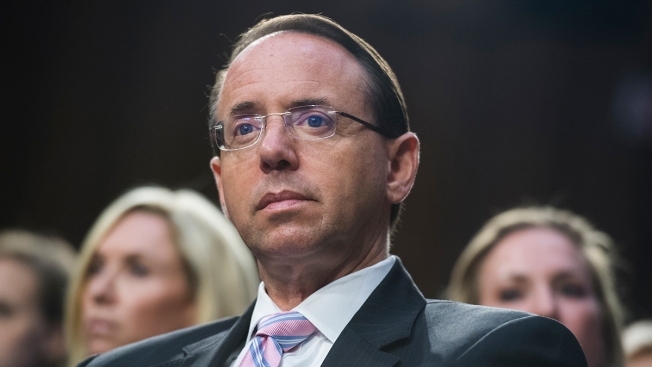 A person familiar with the situation said Rosenstein agreed to the meeting during a call Thursday evening with the House Judiciary Committee chairman, Rep. Bob Goodlatte, R-Va.
GOP Rep. Mark Meadows of North Carolina, who leads the conservative House Freedom Caucus, tweeted Friday that Republican leaders agreed to ask Rosenstein for a private meeting and said lawmakers would subpoena Rosenstein if he refused to answer questions. 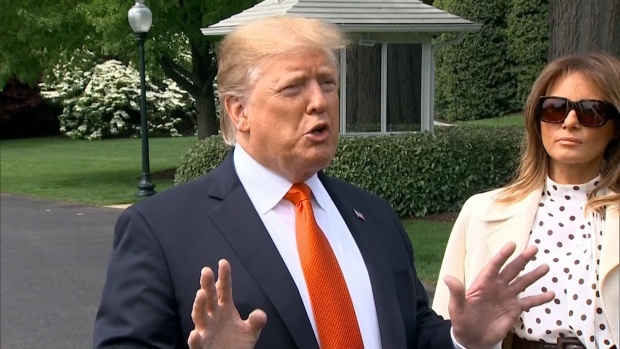 He said the goal of the questioning was to make Rosenstein "explain his alleged comments on 'wiring' POTUS--as well as other inconsistent statements." But the person familiar with the situation, speaking on condition of anonymity to discuss private conversations, said Rosenstein had agreed to a meeting in upcoming weeks even before that tweet. The person said the conversation with lawmakers was not described to Rosenstein as a hearing or an interview. Rosenstein is also to meet next week with Trump. Rep. Jerry Nadler, the top Democrat on the House Judiciary Committee, said in his own tweet that House Republicans "cannot be left alone in a room with DAG Rosenstein" and that he would demand that House Speaker Paul Ryan grant Democrats access to that meeting. He called the meeting with Rosenstein part of a Republican effort to undermine special counsel Robert Mueller's investigation into possible coordination between Russia and the Trump campaign during the 2016 presidential election. Rosenstein appointed Mueller as special counsel and oversees that investigation. Rosenstein's job as the Justice Department's No. 2 official had appeared imperiled since a New York Times report last week that said he had discussed possibly recording the president to expose chaos in the White House and invoking constitutional procedures to have the Cabinet remove Trump from office. The Justice Department issued statements from Rosenstein meant to deny the report, and released a statement from someone who recalled the recording comment but said it was meant sarcastically. Rosenstein headed to the White House on Monday with the expectation that he would be fired. Instead, the White House said he would meet on Thursday with Trump. That meeting was postponed until sometime next week after the White House said Trump wanted to focus on a Senate Judiciary Committee hearing featuring Supreme Court nominee Brett Kavanaugh and a woman who accuses him of sexually assaulting him when they were teenagers.